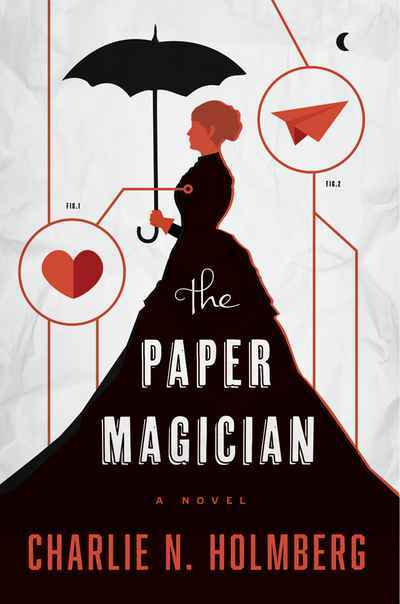 From the imaginative mind of debut author Charlie N. Holmberg, The Paper Magician is an extraordinary adventure both dark and whimsical that will delight listeners of all ages. Ceony Twill arrives at the cottage of Magician Emery Thane with a broken heart. Having graduated at the top of her class from the Tagis Praff School for the Magically Inclined, Ceony is assigned an apprenticeship in paper magic despite her dreams of bespelling metal. And once she’s bonded to paper, that will be her only magic...forever. Yet the spells Ceony learns under the strange yet kind Thane turn out to be more marvelous than she could have ever imagined — animating paper creatures, bringing stories to life via ghostly images, even reading fortunes. But as she discovers these wonders, Ceony also learns of the extraordinary dangers of forbidden magic. An Excisioner — a practitioner of dark, flesh magic — invades the cottage and rips Thane’s heart from his chest. To save her teacher’s life, Ceony must face the evil magician and embark on an unbelievable adventure that will take her into the chambers of Thane’s still-beating heart — and reveal the very soul of the man.